Each year, the World Space Week Association, in coordination with the United Nations Office of Outer Space Affairs, selects a theme that participants are asked to incorporate into their World Space Week events. 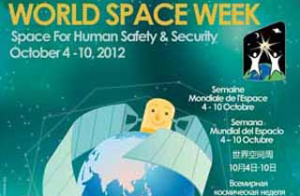 The theme for 2012, "Space for Human Safety and Security", has been chosen to celebrate the many ways in which mankind's activities in space improve our daily lives. Earth observation, navigation and telecommunication satellites are used everyday to protect humans and safeguard our environment. ● Tracking forest fires, floods and the damage caused by other natural disasters. In 1999 the “Space Millennium: Vienna Declaration for Space and Human Development” was agreed, with the aim of increasing the use of space science and technology to help solve major global issues of human and environmental security. In response to this declaration, two important initiatives were launched: the International Committee on Global Navigation Satellite Systems (ICG) and the International Charter “Space and Major Disasters”. ICG was launched in 2001 by the United Nations Committee on the Peaceful Uses of Outer Space (COPUOS) to provide a forum to discuss the uses of Global Navigation Satellite Systems (GNSS) to benefit people around the world. The European and French space agencies (ESA and CNES) initiated the International Charter “Space and Major Disasters” in November 2000, with the Canadian Space Agency (CSA) signing the charter in October 2000. Since then, the Charter has been signed by a further eight agencies from around the globe. The aim of the charter is to ensure that local authorities and emergency services have immediate access to Earth observation satellites following a disaster. Since its inception, the Charter has been activated more than 200 times. Today, the need to strengthen synergies in the area of space and security have been reaffirmed; a new initiative has been launched in Europe, called the Global Monitoring for Environment and Security (GMES), to ensure the long-term availability and reliability of Earth observation data. 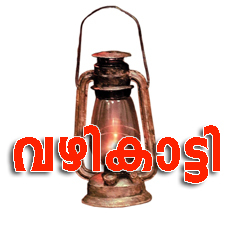 GMES services are now gathering pace and should be fully operational by 2014.